At a ceremony in St Pat’s college tonight the College remembered those who didn’t make it to the end of the year. Pádraig went to remember two of his very good friends who died over the past year, Gabrielle and Louise. The ceremony took place in the chapel of St Pst’s college. While we were there we noticed a couple of photographs. 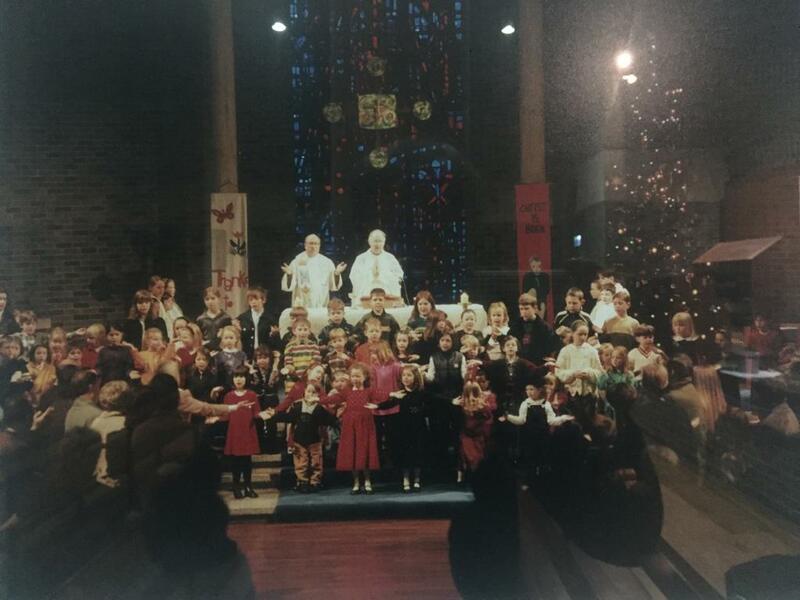 They must have been taken during Sunday Mass, maybe some 20 year when the priest gathered the kids around him and talked to them for a while. I might be wrong but I’m nearly sure that I discovered Pádraig and one of his sisters, on the left. One of the reflections of the commemorative service last night was about cherishing memories. Be grateful for the years and the moments, happy and sad, we spent with our loved ones. I still find that terribly difficult without getting sad. 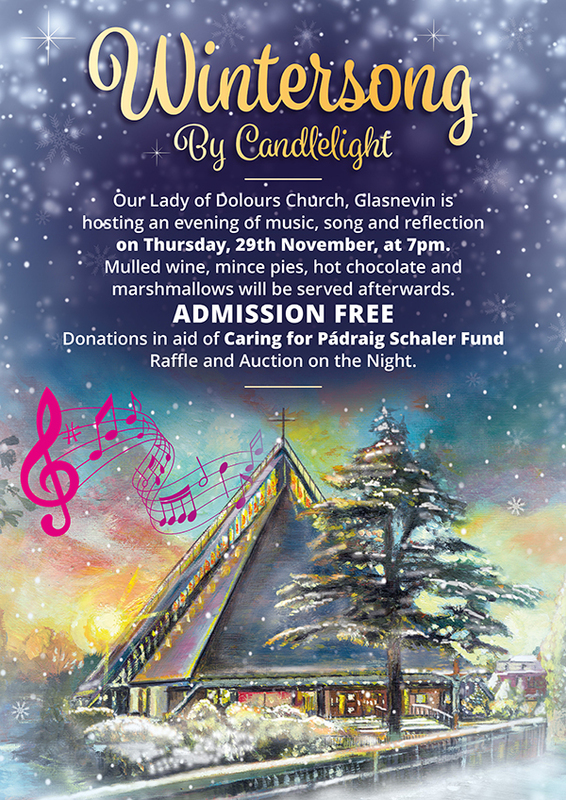 Don’t forget tomorrow’s event of reflection, music, poetry, and song – followed by an auction and raffle, all in aid of Caring for Pádraig.